The news came to me via a tweet by Gerard Molenaar, editor of Entree Magazine (amongst others) and a fanatic blogger on good beer on Hopstersblog. 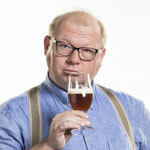 In his tweet Gerard asked ‘would you want this, as a brewer?’ – he had me sitting straight up at once. He referred to an article in Retail Trends with the catchy headline ‘This beer gets better automatically’. I immediately thought this was thé solution for most Dutch brewers, and thus Dutch beer drinkers – until I read the story. 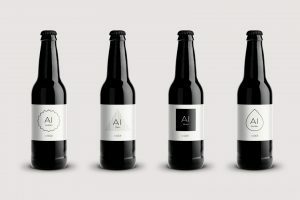 In short the story boils down to a company called IntelligentX that has developed an app with which consumers can respond to four beers called A.I. It is referred to as the world’s first beer brewed by artificial intelligence. 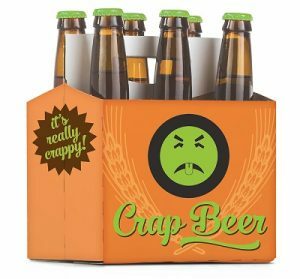 People who’ve tasted one can reply to a bot on Facebook Messenger and request more hops, more alcohol or more gas. 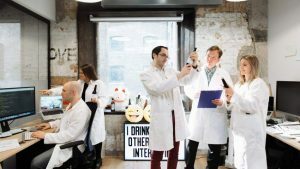 IntelligentX: “On a scale of one to five they rate the beer, after which an algorithm called ABI (automated brewing intelligence) translates all data to a new recipe. This goes to the brewer, and then the new releases get rated. The beer is thus constantly under construction. One of the people behind it is Seth Godin. His motto: do not seek customers for your product, but seek products for your customers. He thought consumer reactions, translated by the bot to a sort of machine learning, might be a good plan for brewers. Godin: “This way of working is 180 degrees opposite of current standard brewery procedure. They often just hang on to a recipe. I can imagine we create Google beer, whereby our algorithm translates the data coming in via Google to our own beer”. I remember Economy in class, on the question whether a producer should act demand driven or supply driven. Should a producer make things people want, even without them knowing yet, or should they simply make things they think people will buy anyway? In short: does demand generate supply, or does supply generate demand? Mr. Godin is a clear prophet of the first school. Yet, I fear he will not have a winner in his hands. To clarify, let’s look at some classic breweries like the large lager factories. For quite a while they could exist by simply brewing rather uniform tasting beverages. They even got away with eliminating most of the flavor – see the classic sketch by Monty Python. The American (nowadays Brazilian) brewery Budweiser is a grand example: they have close to forty different brands and variants for basically one and the same ‘beer’. In the past decades their sales plummeted with roughly a billion liters: the wind doesn’t blow in its sails, nor that of these beer styles. Yet, supply driven brewing works – particularly when one has deep marketing pockets. At least that is what the unstoppable flow of Radler flavor variants seem to proof, dripping like diarrhea from scores of beer marketers’ pants. There are, and always will be, consumers who will blindly buy whatever sausage is hung before them, however much artificial as it may be. The success of modern day brewing is to be found elsewhere, I think – with demand driven brewers. Many of them started out as consumers, discovering beers with different flavors than those they knew and were abundantly available. They decided to start brewing themselves. This phenomenon has not only been the driving force behind the American beer revolution, but also led to Dutch brewers and breweries like Menno Olivier (De Molen), Kees Bubberman (Brouwerij Kees) and Oedipus Brewing – just some examples. First, they supply to their own demand and when other costumers become interested they will keep monitoring those customers. Of course they will be releasing their own ideas too – but they will not make concessions to demand. And there’s exactly where I believe AI’s problem will be. 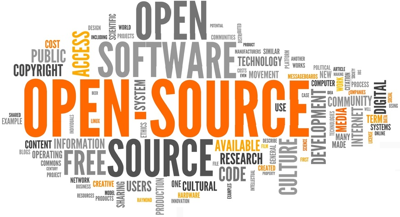 The Achilles heel of this project is in the bot that listens to consumers. “Should there be more more hops, more alcohol or more gas (substitute ‘more’ with ‘less’ when so desired)?” Let’s say all consumers respond, or even a part, we can be assured of scores of different taste preferences. The bot will hear them all and will try to accommodate them all. 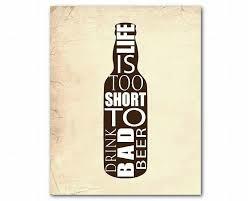 Automatically, the beer will be made into something suitable for the largest common denominator – your ultimate ‘pleaser’. AI now offers four styles: Golden, Pale, Black en Amber Ale. When consumers behave as expected, and the bot works well, all four bottles will eventually hold exactly the same beer: Heineken lager.